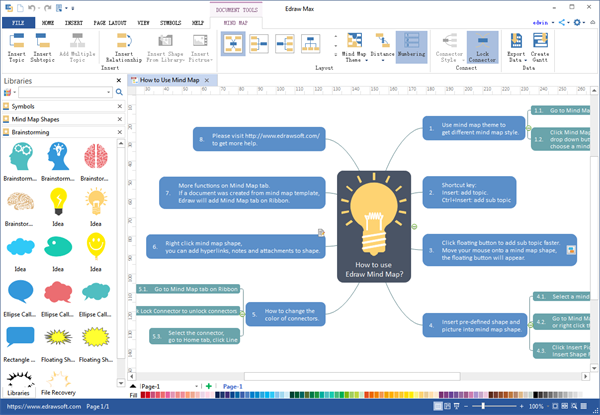 Edraw Mind Map software helps create presentation-looking mind maps on Mac, Windows and Linux. It lets you add shapes and lay out the whole diagram automatically, with no drawing skills needed. You will love its powerful drawing features, together with thousands of built-in clip arts which you can use to decorate your mind maps for free.Edraw mind map for Mac is a powerful mind map development program that offers a full set of tools for the fast creation of modern and polished mind maps. It has been embraced as a solid mind map Visio alternative on Mac OS. Its simple and user-friendly interface helps you speed up your work and produce excellent result in minutes. mindmap, mind map, mind Edraw Mind Map is a cross-platform mind map program which is compatible with Mac OS X, Windows and Linux systems.